I used to call them New Year's resolutions. Then I started calling them goals. This year I'm going to call it a plan. Goals get my brain going to lofty places. Not saying that's a bad thing. It's good to dream big. When it comes to our language learning for the year though, I need to have a plan. I need to map out where I want us to go, and how we're going to get there. What will the day-to-day look like around our house, learning Spanish in 2018? I won't lie. I'm scared. I took a break from Spanish for a year, and getting back into it is exciting, yes. Also terrifying. Why? Well, I don't like to be disappointed. I don't like to fail. But I'm trying to push away alllll the lofty expectations, and just keep learning Spanish. With a plan in hand. I want the plan to be DOABLE, but also to PUSH me. There are tons more things I want to do, but I think I'll focus on these first, and then come back to the drawing board for Term 3. For example, I'd really like my oldest (age 7) to start learning how to read in Spanish, and I want to make him a calendar notebook that's all in Spanish. I also have ideas like "Watch ___ movies in Spanish," or "Read ____ books in Spanish," but I need to make myself take it one step at a time! For the words, we have a little blank scrapbooking book I had on hand where we will paste (or draw) small pictures of the words we learn each week. That's how we'll measure (and review!) all our new words. All of the poems and songs we learn I'll collect in a folder with sheet protectors so we can have them all in one place. As for the actions, I'm not sure yet how to keep track of all of those!? Any suggestions? I think to keep myself on track I will put some reminders on my phone and on my calendar with alerts set for certain times and dates. I also have a book for myself to write down new phrases and words I have to look up. 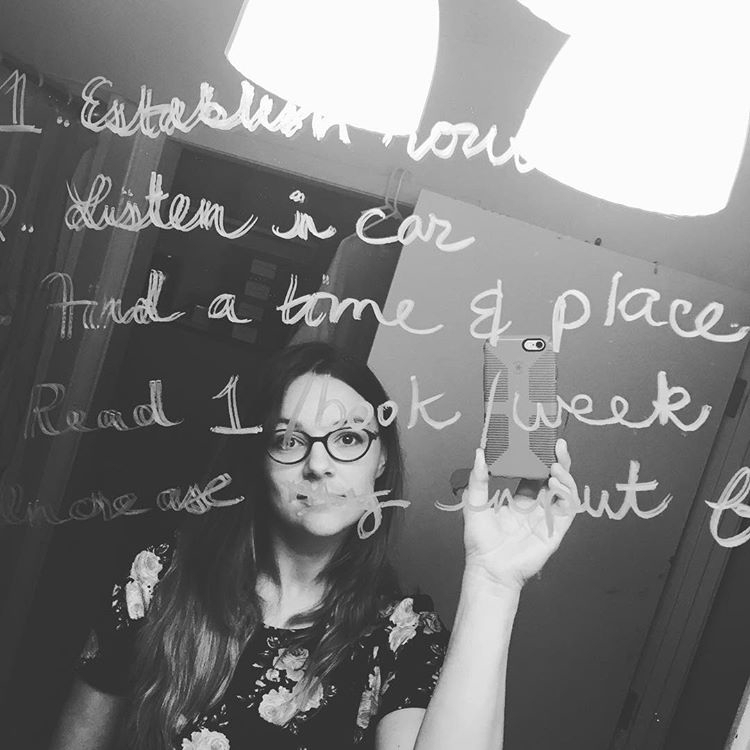 Lastly, I think I'll make a little checklist or chart in one of my journals with 100 spaces to write down the titles of the podcasts I listen to. Whew! This is exciting and daunting all at the same time. Tell me! 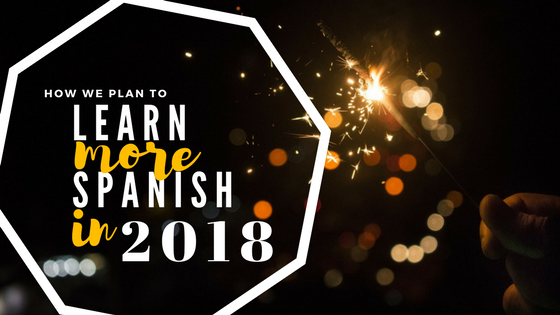 What is your plan for learning Spanish in 2018?? I'd love for you to share about it in the comments below and we can keep each other accountable!! I read and love every comment...thanks for stopping by! Can I teach my children Spanish if I don't speak it myself?